Jeff and DW have spent countless hours training for their respective sports. Jeff spent years playing soccer. Dave worked in the trenches on his football team at Wheaton College. If you grew up around athletes or any sports in general, it’s not hard to see a bunch of egocentric people seeking their own glory around every corner. As a Christian, we’re taught to be humble. But is it really possible to be an elite athlete and be humble? What would that look like? 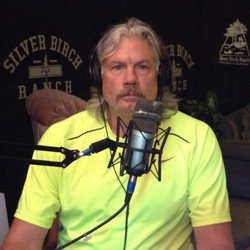 This week’s episode features two special guests: Jeff and Nancy Swider-Peltz. Check out their bios after the break. Never miss an episode. Subscribe to the podcast for free on iTunes, Stitcher and Tune In Radio! If you like the podcast, support it. Jeff is an Assistant Football Coach (Defensive Line) and Spiritual Coordinator at Wheaton College (Thunder). Last year, they went 11-1 – best record since 2003, and appeared in their first playoff game since 2010. A 1981 Wheaton graduate, Jeff has coached the Wheaton defensive line for 33 years. He has coached nine All-Americans and over 46 All-Conference players in his tenure, most recently including NFL star, Andy Studebaker. Peltz became Wheaton’s career sack leader with 37 and set the former single-season sacks record of 14 in 1978, a record which stood until 1995. He captained the 1980 football team and earned All-CCIW Second Team honors in 1979 and 1980. In 2003, he was inducted into Wheaton’s “Hall of Honor” as a player. Jeff has a heart for ministry and also serves as the Spiritual Coordinator for the football program. He is in charge of organizing player small groups, team chapels, and also organizes the Wheaton Football Missions trips that take place over spring break. 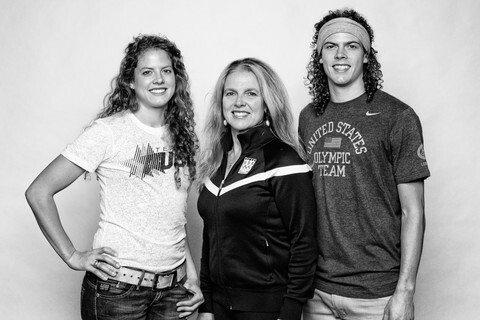 Nancy Swider-Peltz, Sr. is the first four-time U.S. Winter Olympian. She’s a two-time World Record holder and has competed in 8 Olympic Trials. She’s in the National Speedskating Hall of Fame. After her first Olympic team in 1976 at 19, Nancy set her first World Record in the 3000m that same year, and secured a second in the 10,000m in 1980! Nancy made the 1980, 1984 and 1988 Olympic Teams and participated in four more Olympic Trials – 1992, 1994, 1998 and 2002 – for a total of 8 Olympic Trials in 4 decades. At the 2002 Olympic Trials, at the age of 45, she was paired with her daughter Nancy Jr., age 14. That same year she set four personal bests and currently holds five age-group World Records. Nancy Sr. was an FCA board member and has spoken at several FCA events throughout her career. Nancy Sr. was an FCA board member and has spoken at several FCA events throughout her career. She continues to emphasize to her children the importance of not only using their platform, but to first make sure their platforms are built on a solid foundation. Keep up with Nancy Jr and Jeffrey Jr on their journey to Pyeongchang 2018 at teamswiderpeltz.com and follow them on social media.